Crystal Clear Diamond: a Guinness macaroon lightly perfumed and served with blackcurrant jelly. Obviously there are thousands of things to do in London, but nothing quite amounts to the levels of shear indulgence and unbridled eloquence as sharing a tier of cakes and pastries with a friend or loved one. Do it in style at one of the following high-end hotels because, we at My Guide, believe a bit of class and sophistication every now and then never goes amiss. 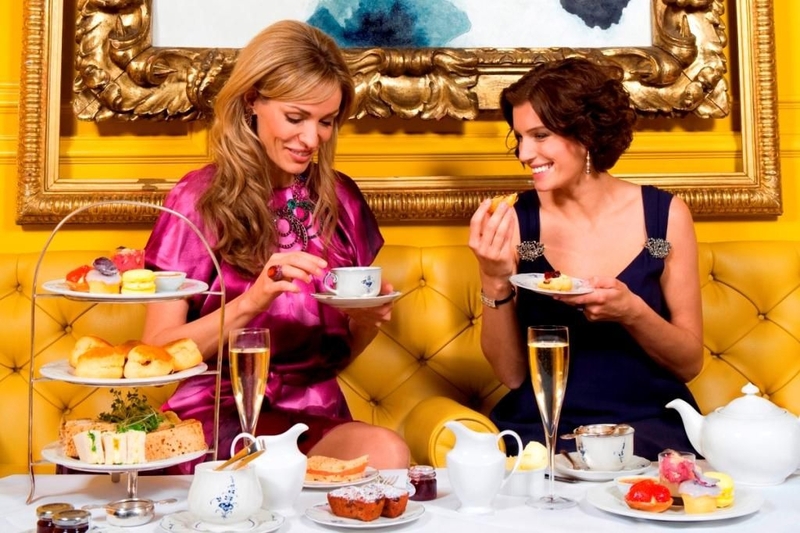 Afternoon tea for two in London: splendid. The Park Lounge of the Milestone Hotel is everything a stately country retreat should be: dark, save for the flames of the flickering open fireplace, walls lined with leather-bound books and furniture you could fall asleep in. For a sip of afternoon tea, this place is perfect. You can plump for something typical with a side of luxury from the menu: Afternoon Seduction, a selection of finger sandwiches, the obligatory scones with Devonshire clotted cream and jam, complete with a pot of tea of your choose and a glass each of bubbling champagne. 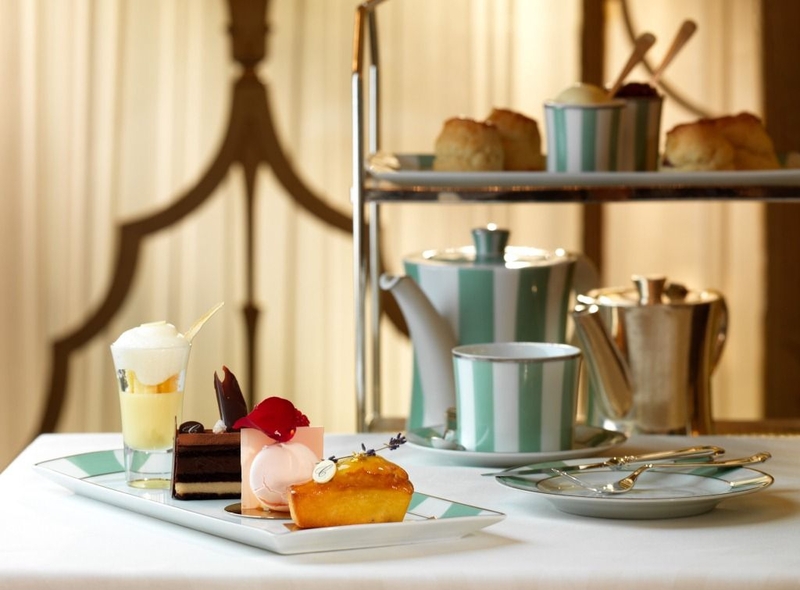 Such is its reputation of opulence and obsessive perfection, and with strict dress-codes reigning throughout (for men it’s a jacket and tie; no jeans permitted), when you tell someone you’re having afternoon tea at The Ritz they’ll flush green with envy. Champagne is on the menu by the glass, and finger sandwiches are served on triple-tier platters with fillings including smoked salmon with lemon butter on rye bread, ham and grain mustard mayonnaise, or chicken breast with horseradish cream. Raisin or plain scones with clotted cream and jam, as well as pastries and cakes are also on the menu. Located overlooking the Goring’s sensational Oasis garden, afternoon tea here is presented in nothing short of meticulous fashion. Not only does the menu offer scintillating bites such as pear and hazelnut tarts and Baileys macaroons, as well as an upgrade to include a glass on Bollinger, but The Goring sits behind the Buckingham Palace gardens, and the Palace itself, allowing for the perfect stroll past royal soil either before or after your reservation. Here, they serve heart-shaped macaroons with glasses of selected champagnes, should you feel inclined. 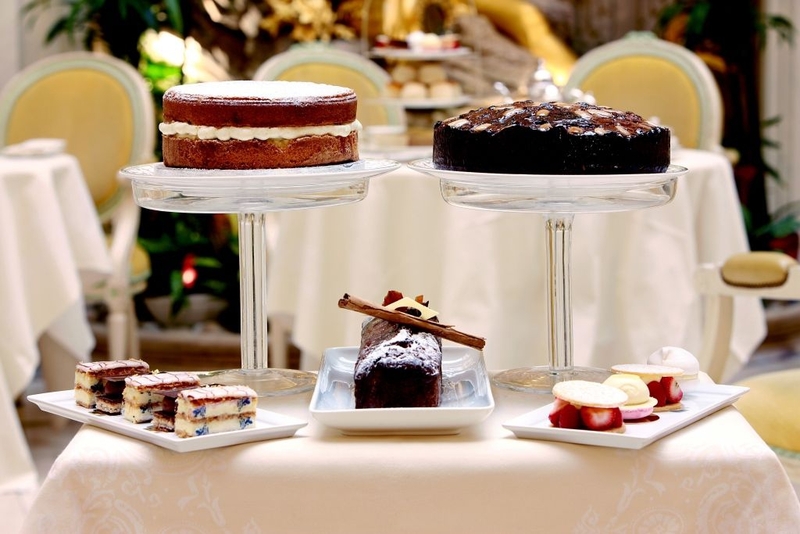 Claridges is simply the epitome of afternoon tea in London. It prides itself on the utter Englishness of the whole occasion; it’s an event in its own right at Claridges, proving its reputation having received an award for being the top afternoon tea venue in London 2011 for the second time. 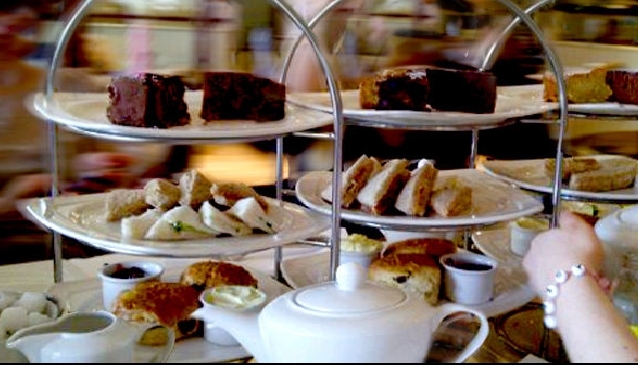 There are over 40 different types of tea to choose from on the menu, and an array of sweet pastries, cakes and fingers sandwiches. Before you arrive, however, why not check out one of the four art galleries or The Handel House Museum, all within close proximity to Claridges? Another tea award-winner here, this time taking the scoop in 2010. 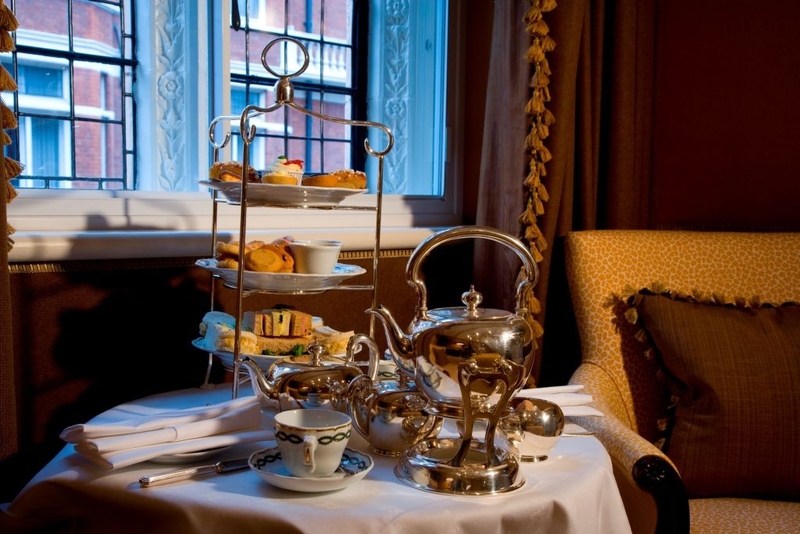 The Langham is the birth-place of afternoon tea, having conceived the idea 140 years ago when the Duchess of Bedford was feeling a little peaky one afternoon and decided to remedy herself with trays of tea and bread & butter. People soon started bucking the trend and here we are today. But from simplicity comes over-the-top magnificence, especially at The Langham; get a load of some of these exemplary cakes and pastries: Crystal Clear Diamond, a Guinness macaroon lightly perfumed and served with blackcurrant jelly; Poison Apple, red peppercorn and dark chocolate shortbread; or how about the head-turningly sumptuous Razor Ribbon Ring with silver needle jasmine mousse and apricot?